Don’t you wish to impress your instagram followers and gain more popularity? Splitting your photos using the simple apps is the most trendy thing now. More and more instagram users are using the split feature to crop images into grids and post it on their instagram walls. These featires are easily availed through various apps available online. Do not need to spend hours to create and split images manually, easy apps are introduced in the market to create effects within seconds in a matter of few seconds. Simply divide your photos into smaller pieces and upload on the instagram wall. The apps lets you upload a picture, choose the size and background and the app does it for you in few minutes. You don’t need to be too tech savy to get the desired effects. Whether you have a Google android phone or an Iphone, you can get the apps on any of them easily that to free of cost. Searching to split pictures on Instagram? You desire to split a single image into grids to post it, then a thorough guideline provided in this article will help you achieve what you desire. Many people post nine images on instagram timeline and when you visit their post you can see nine images combined into one single image. So how to do that yourself for your images on instagram? First visit Google Play Store on your android phones or I Pone App store on your Iphones. There are five types of grids available for obtaining giant square images. These include 3x1, 3x2, 3x3, 3x4, 3x5. The size 3x3 works the best for the giant square images. After selecting the grid type, click on the ‘next’ tab button. The app then processes the picture and crops the selected picture into nine pieces which you can share one by one on your instagram wall Use the share button on your app to post your images in a descending order to get the exact image in the grid. This simple way you can utilise to create beautiful instagram grids using the 9Cut app will enhance you insta wall. GiantSquare is another app which lets you do some amazing things with your Instagram profile. It is the best app to split your pictures into 9 or 12 pieces as you desire. Download the GiantSquare app from the Google Play store on your android phone or from the Iphone App store from the Iphone. The final images are ready within seconds to upload them on your instagram wall. The 9Square app too is widely used among the youth to split large pictures into various grid sizes and upload them on the instagram wall. Create a Giant Giant Square by cropping the picture into any of the given sizes 3x1, 3x2, 3x3, 3x4, and 3x5. Share the images directly on your instagram wall and enhance the wall an get likes on your wall. You can split images horizontally and vertically. 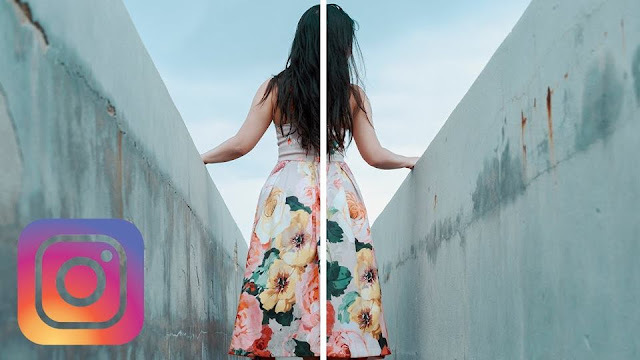 These are the simple steps to follow to split pictures instagram and impress your followers. And do not forget hastags after posting the images on instagram. They give you a great way to communicare with the audience. And do not forget to add a catchy caption to those images too to attract the followers who are simply scrolling through the instagram feeds. Share your split images on instagrM and be impressive.